Sonic Youth In Concert Sonic Youth's latest album, The Eternal, is among the band's finest, with a fuzzy, tightly orchestrated mix of psych-punk rock and noisy jams. The band showcased the album in a full concert, recorded live from Washington, D.C.'s 9:30 Club. Audio for this concert is no longer available at the label's request. After spending nearly 20 years delivering crunchy, underground guitar rock for a major label, Sonic Youth has returned to its indie roots for its 16th studio album, The Eternal. Out now on Matador Records, Sonic Youth's latest effort is among the band's finest, with a fuzzy, tightly orchestrated mix of psych-punk rock and noisy jams. The band showcased the album in a full concert, recorded live from Washington, D.C.'s 9:30 Club July 7. 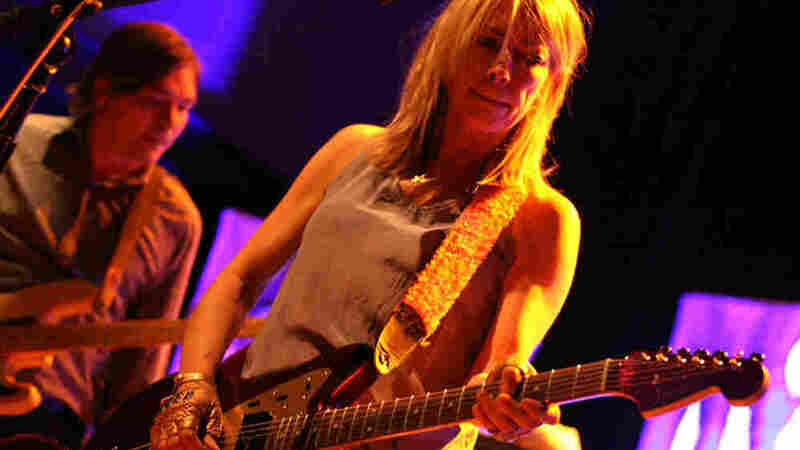 When guitarists Thurston Moore and Lee Ranaldo formed Sonic Youth with bassist Kim Gordon and drummer Richard Edson, in 1981, they could never have imagined the band would go on to inspire and influence a generation of other artists. From the beginning, they mixed experimental noise rock with New York's post-punk, avant-garde aesthetic and came to create a new sound one that redefined what rock guitars could do, with dissonant feedback and alternate tunings. By the '90s, Sonic Youth had become a fixture of college radio stations and achieved cult status with legions of other bands emulating their sound. In time, the group's songs became more focused and less free-form, but remained rooted in noise, with each album ranking consistently in the Top 100.